Schoolteacher Edel Tobin was inspired by an event on the island of Djerba off the coast of Tunisia when she came up with the idea for the Waterford Walls International Street Art Festival. In 2014, the Djerbahood Project involved 150 street artists using the island as a blank canvas to transform it into a real-life open air museum. “I saw a lot of similarity between that place and the demographics and history in Waterford,” says Tobin. Tobin started on a small scale with the New Street Gardens project, where schoolchildren painted murals to revitalise a disused space near the city centre. 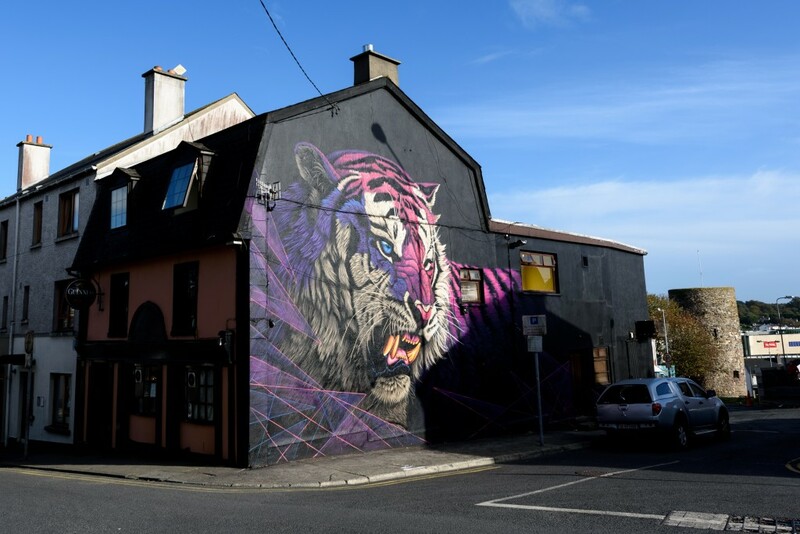 In 2015, 25 derelict buildings were transformed by murals painted by street artists living in Ireland such as James Earley as part of the first Waterford Walls Festival. Since then, the festival has grown to the point where there are over 130 painted sites around the city, forming art trails and driving workshops geared towards both schools and businesses. The year for people to enjoy, but to date only about half of them have been painted over. Street artists often have colour requirements that are outside of the norm. Colourtrend will work with them to give them exactly what they need by, for example, manipulating the tinting system to make a colour look old or providing advice on the blending of materials such as spray paints and metallic paints. “We can give advice on what will go on and stay on. There is quite a lot of technology involved with certain surfaces. The last thing you want with a mural is that the paint will peel off,” explains sales and marketing director at Colourtrend Liam Holland. The 2018 festival last August featured some of the world’s most impressive street artists, including Australian artist SMUG One, Dan Kitchener from the UK, French collective Monkey Bird Crew and Irish artists Joe Caslin and Danleo. “We’re really pleased to present the daa €5,000 Arts Award to Waterford Walls, a street art festival that transforms unloved walls – often on derelict or empty buildings – into a huge openair gallery throughout the city,” says Paul O’Kane, chief communications officer at the daa. Colourtrend and Waterford Walls were also shortlisted in the Best Use of Creativity in the Community category in the Allianz Business to Arts Awards.